Happy Holidays to All. This is the time of year when we place special meaning on family activities. Our own families are important to all of us. 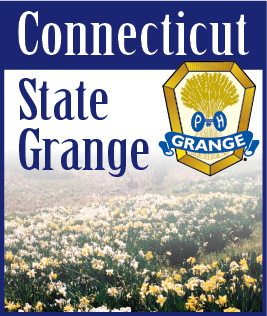 But, in the hustle and bustle of the season let’s not forget our Grange family. Most Granges have parties or special activities of their own. Why not take advantage of this to invite a friend or neighbor who is alone to join us in our celebrations. This is also a good time of year to get started on our Lecturers’ Projects. Why not write that letter to a soldier. Many of them do not receive mail from home. They are defending our country. Let’s let them know that we care. It is also a good time to start our Auld Acquaintance projects. Many people in convalescent or rest homes have outlived their family and friends. A visit, a table or tray favor, or some entertainment can make a big difference in their lives. However, please don’t do this just once. They need to be remembered all year long. Enjoy the season. Be healthy and safe. I’ll see you around the State.